Aam Aadmi malayalam movie to be directed by debutante Shibu Balan will have Sreenivasan, Lal and Innocent in lead. Produced by E For Entertainment, the movie will start rolling very soon. Scripted by the director, the movie is having a handful of youngsters behind the screen. The story is the movie will revolve around a socially relevant issue which would keep the audience intact till the end. Read more to know about the upcoming malayalam movie Aam Aadmi. The name 'Aam Aadmi' is creating a huge buzz in the national level and in Kerala too. Much interestingly, the name is going to get more popularity among the movie fans too as an upcoming project gets the title 'Aam Aadmi'. 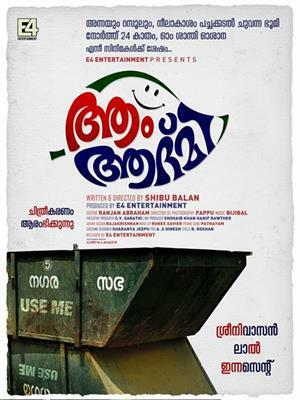 Directed by debutante Shibu Balan, this movie will have Sreenivasan, Lal and Innocent in lead. Produced by E For Entertainment, the movie will start rolling very soon. Scripted by Shibu himself, the movie is having a handful of youngsters behind the screen. The story is the movie will revolve around a socially relevant issue which would keep the audience intact till the end. Regarding the technical side, Pappu would stay behind the camera capturing the gestures of the artists. E for Entertainment is a well known banner which has made name producing movies like Annayum Rasoolum, Neelakasham Pachakadal Chuvanna Bhoomi, North 24 Kaatham and Om Shanti Oshana. The movie is blessed with the presence of Bijibal who would render his support setting beautiful tunes for the movie. The make-up will be safe in the hands of Ronex Saviour while Saranya Jippu enjoys his role as costume designer. The posters for the movie are done by Collins Leophil. It is much interesting to see the arrival of more passionate film makers who wish to create their own space in the industry. With more than 150 malayalam movies released in 2013, the number would not keep the same pace in 2014. But as in 2013, more youngsters are putting their effort behind the screen to show their talent. Some of the just announced projects include Aadu, Aadu Padam, Passion, Ameya Oru Bavul Penkutti, Anti Virus, Banglore Days, Badarul Muneer Husnul Jamal, Badal, Dilwale Dulhaniya Le Jayenge, Dayivathinte Kayioppu, Dooram, Garbha Sriman, Hai I Am Tony,Gunda, Irunda Kaalam, Ithihasa, Ithinumappuram, John Paul Vaathil Thurakkunnu, Jomon, Just Married and many others. So get ready to enjoy the taste of some movies which is being creamed with thrills and excitement.